This is most commonly used support meant for supporting only the pipe weight vertically. It allows pipe to move in axial as well as transverse direction but restricts only the vertical downward movement. This type of support is used to restrict the movement of pipe in transverse direction i.e. perpendicular to length of pipe but allow movement in longitudinal direction. This is also a commonly used type of support. Generally it is used along with Loose support. This type of support is used to restrict the movement of pipe in Longitudinal (axial ) direction but allows the pipe to move in transverse direction. This is also referred as 'AXIAL STOP'. This type is less used as compared to above two types. Generally it is used along with Loose support. FIX POINT type of support is used to restrict movements in all three directions. ANCHOR type of support is used to restrict movement in all three directions and rotation also in these three directions. This can be considered as a combination of longitudinal and transverse guide. This type resist only the linear movements in all directions but not the rotational movements. This avoids heavy loading of support as well as pipe. Therefore this type of support is preferred over welded type. This type of support prevents total movements i.e. linear as well as rotational. This type of support is used when it is absolutely essential to prevent any moment/force being transferred further. It causes heavy loading on support as well as pipe. As name itself indicates it allows pipe movement freely up to a certain limit and restricts any further movement. This is useful when total stops causes excessive loading on piping and support or nozzle. This type of support should be used selectively, because of stringent and complicated requirements of design, erection and operation. When we need a pipe support whose construction or functional details are different from the available details, then a special support detail sketch is prepared. The functions of this support can be any combination of above functions. Recommended for suspension of hot insulated lines. Used to support pipes and equipment subjected to vertical movement due to thermal expansion at locations where transfer of stress to other supports or equipment can be critical. Used where variability of a variable spring exceeds 25%. The MSS(SP58) standard provides for a tolerance of 6% in the constant load through the travel range. CARRY THE SAME LOAD ALONG THEIR TRAVEL. Used to restrain movement of piping in one direction while providing for movement due to thermal expansion or contraction in another direction. Effective under either tensile or compressive force. Can be installed in any spatial orientation. 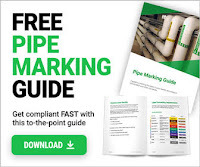 For use on piping systems or equipment when unrestrained thermal movement must be allowed, but which must be restrained during impulsive or cyclic disturbance. Preferred usage, with standard settings, to prevent destructive results due to earthquakes, flow transients, or wind load. For absorbing the continuous thrust resulting from safety valve discharge blow-off. Supports are needed to limit stress and sag in the pipe to acceptable limits. Dead load, live load, wind, seismic and hydro test loads need to be considered while designing supports. Rest, guide and axial supports are the three basic schemes of supporting. A combination of any two or all three may be used for supporting. High temperature, high pressure and associated phenomena make the steam system supporting critical. Different type of supports are available under different types of loading conditions.